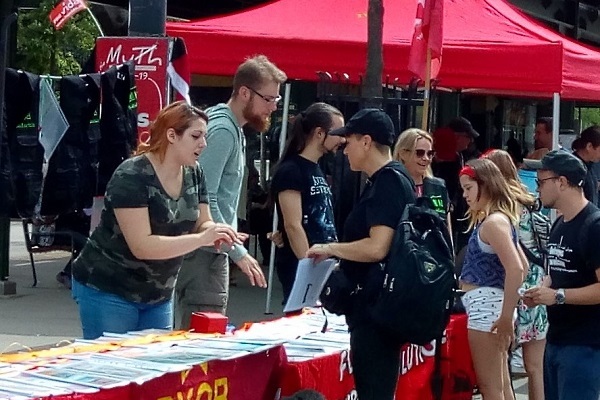 Spreading the Revolutionary Message on May Day 2018! 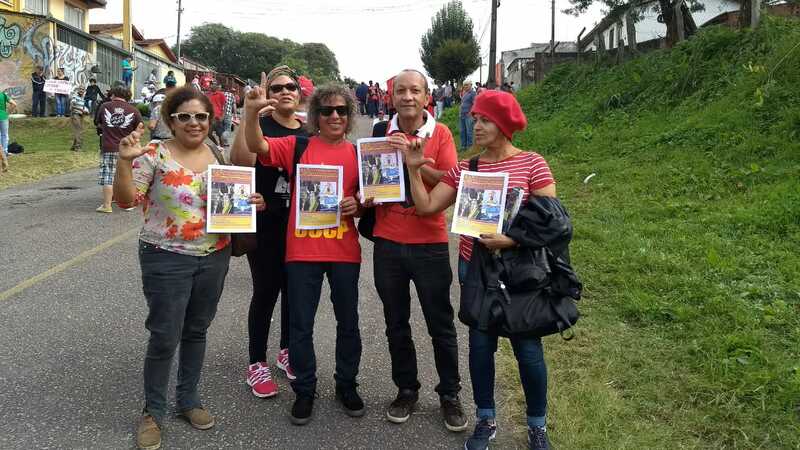 The Revolutionary Communist International Tendency (RCIT) and its Fraternal Organizations participated in numerous countries all over the world on May Day 2018. In a joint statement, the RCIT – together with Pan-Afrikan Consciousness Renaissance (Nigeria), Alkebulan School of Black Studies (Kenya), Sınıf Savaşı (Turkey), and Marxist Group ‘Class Politics’ (Russia) – called socialist organizations and activists to join our efforts to “build a new World Party of Socialist Revolution”. This statement has been published in 11 different languages (English, Spanish, French, Arabic, Portuguese, Russian, Turkish, Urdu, German, Albanian, and Hebrew). 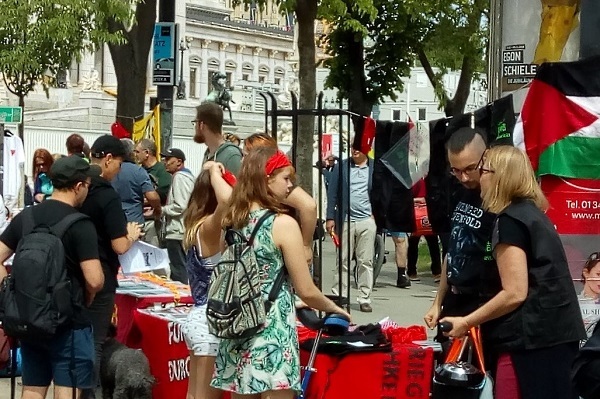 Comrades of the RCIT sections as well as of our fraternal organizations utilized May Day to spread the revolutionary message on all continents. Comrades distributed the joint May Day statement, sold national as well as international publications, discussed with militant workers and youth, organized independent rallies or meetings, etc. From Mexico City to Colombo, from London to Lusaka, we are united in fighting for the construction of a Revolutionary World Party! 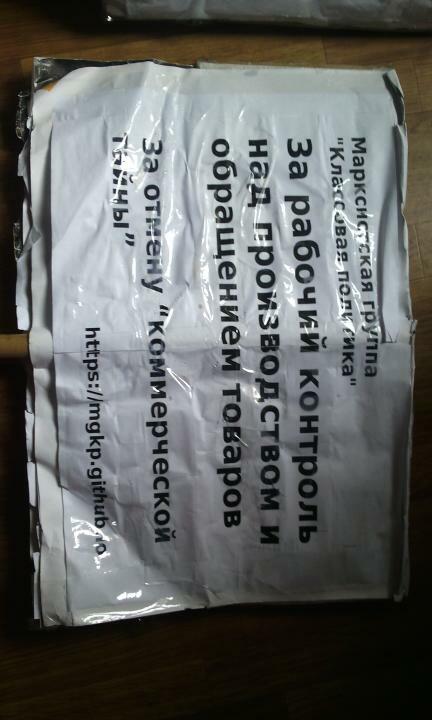 Below we summarize the reports which we have received so far from our comrades and provide a number of pictures and videos. Comrades of Sınıf Savaşı participated in the May Day demonstrations in Istanbul and Bursa. 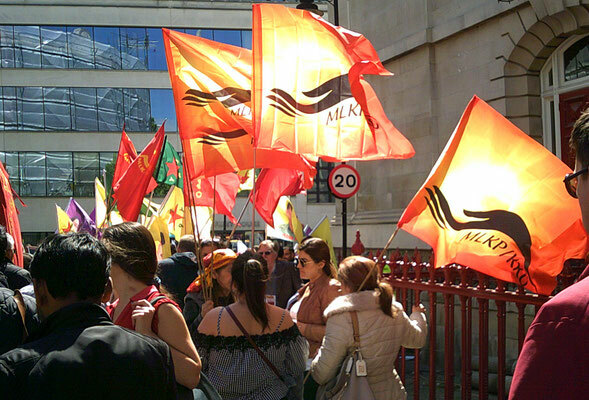 They reported about the difficult situation of left wing forces in Turkey where they were faced, once more, by massive state repression on May Day. In Istanbul, two separate marches took place. One took place at Maltepe Square. However, this demonstration was organized and dominated by the bourgeois opposition party CHP and the petty-bourgeois, mainly Kurdish, HDP. The second, more left-wing, demonstration assembled at Saraçhane Park and tried to reach the Taksim Square. The police did everything in their power to stop them. Nevertheless, in the end the police had to allow a group of 100 people to reach Taksim which was a small victory. In Bursa, demonstrators were also faced with heavy pressure by the police. 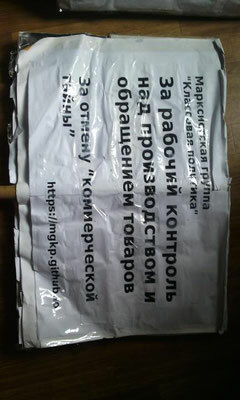 Many people were detained before and after the rally. However, the numbers of people participating in the May Day demonstrations was larger than in previous years. 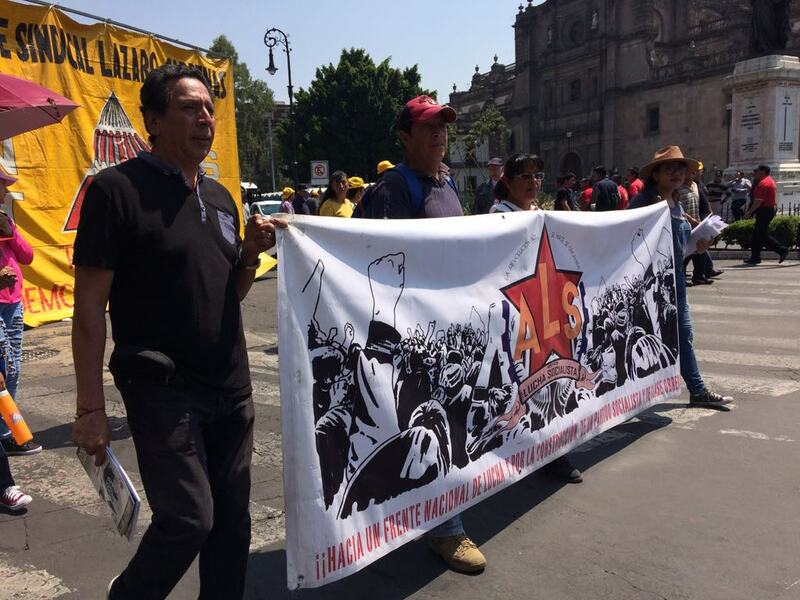 According to the reports of our comrades the May Day mobilization in Mexico City was rather poor. Less workers groups participated in the demonstration than in past years. Furthermore, the demonstration was much divided because the groups started at different hours and places at the centre of the city. Official Labour Day celebrations in Kenya are characterized by self-adulation and announcement of so-called wage “increases” (which in reality don’t appear on the pay slip) by government officials. 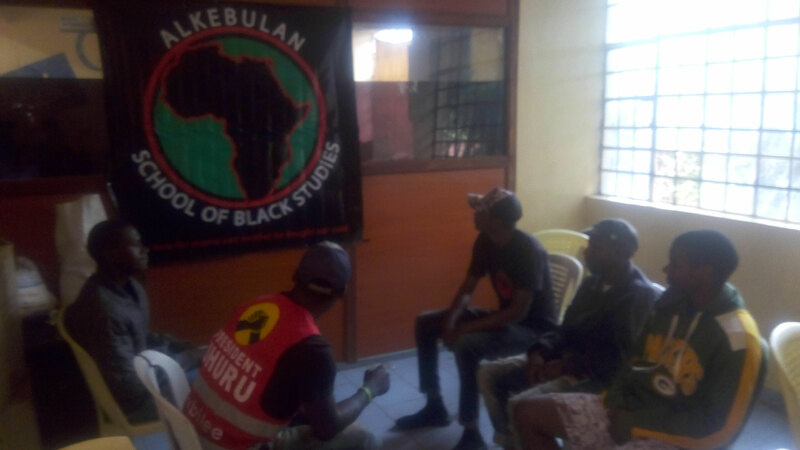 However, our comrades of the “Alkebulan School of Black Studies” used the Labour Day in Kenya to organize a meeting with members and sympathizers as well as local supporters in Dagoretti South. Dagoretti is an important urban slum constituency in the western part of Nairobi, the capital of Kenya. It has nearly a quarter of a million people, most of them workers and low income earners and youths. Comrades of the Marxist Group ‘Class Politics’ (MGKP) participated in the May Day demonstration in Saint Petersburg. 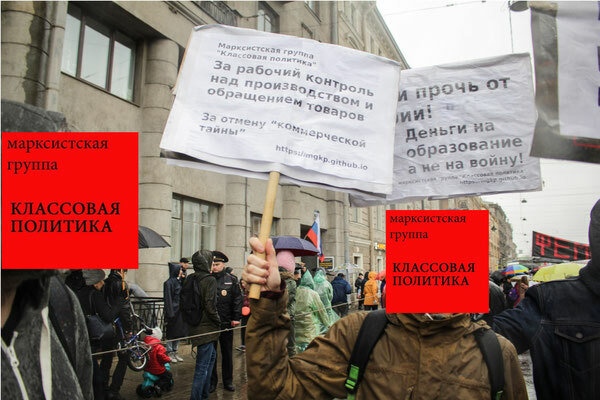 They joined the several hundred people-strong column organized by MPRA union (inter-regional trade-union "Workers' Association", other trade-unions and the KTR (Trade-union Confederation of Russia). 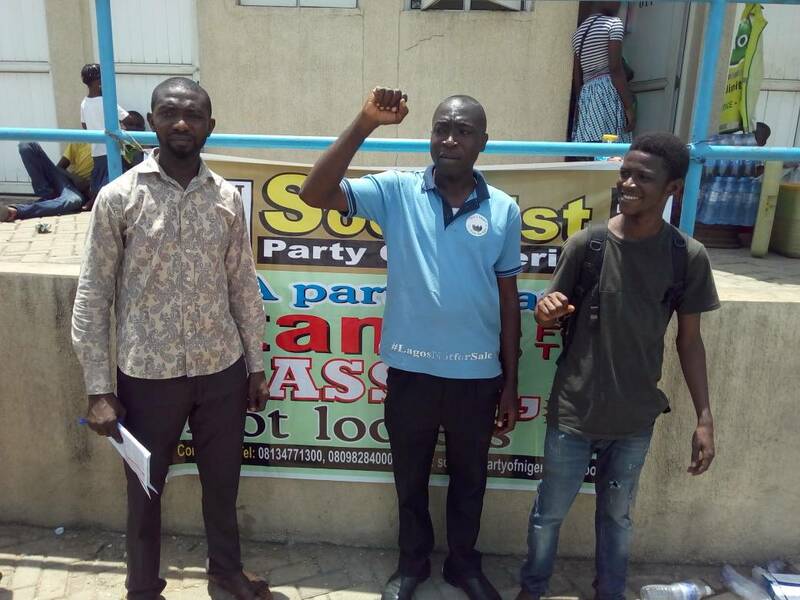 They did so also in order to express their solidarity with the MPRA as it has been liquidated in January 2018 by court order. 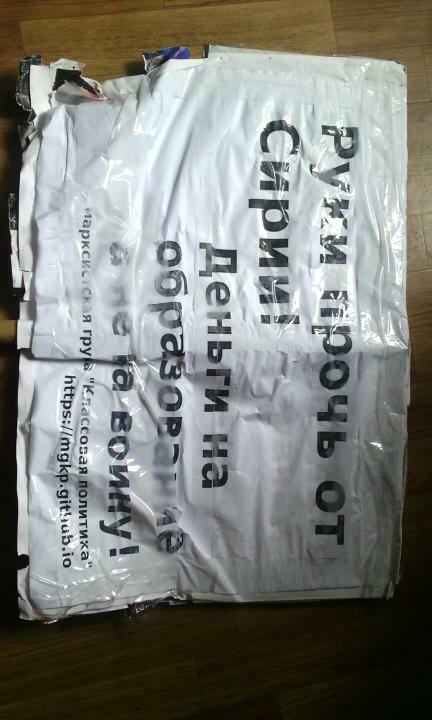 The demonstration was addressed by various speakers, including by Viktor Tjulkin, the leader of the Stalinist RKRP. 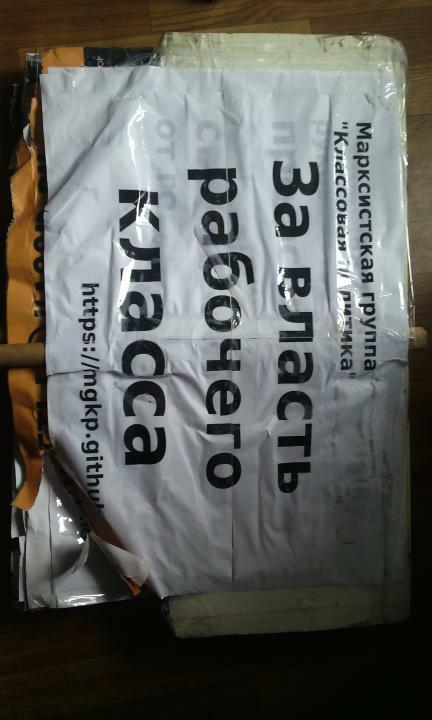 Various ultra-left groups like the misnamed "Revolutionary Workers' Party" and the anarchist "Revalternativa" tried to draw attention to themselves with empty “rrradical” phrase-mongering. 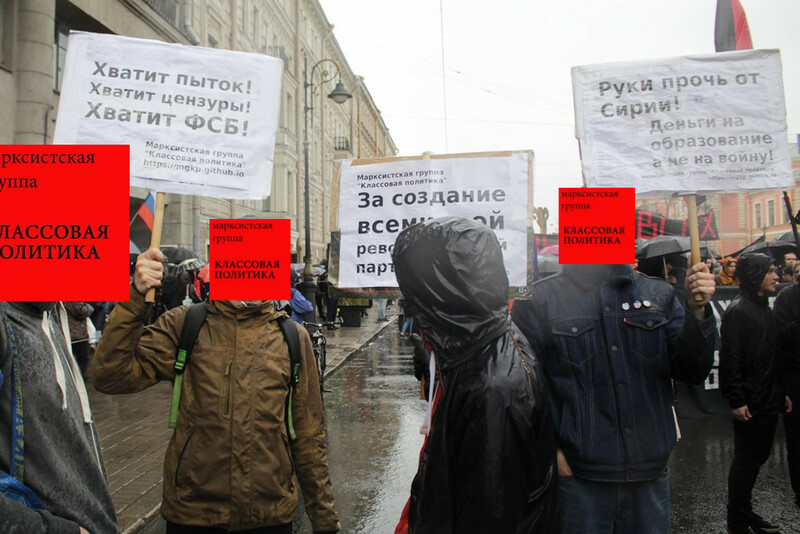 The participation of LGBT activists in the May Day demonstrations is a hotly disputed issue among the Russian left. 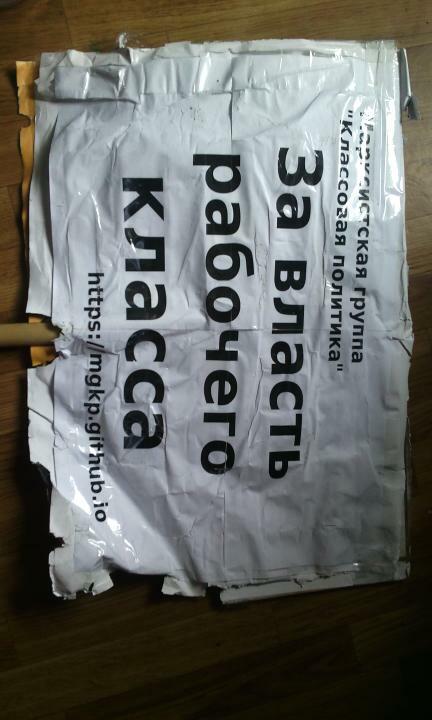 These activists face repeatedly repression by the Russian state. 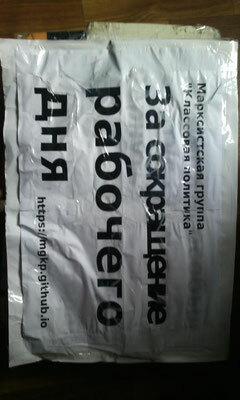 This year again, several LGBT activists were arrested by the police without any reason. 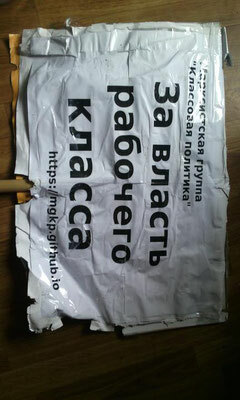 The comrades tried to protect them but they couldn't stop the police. Unfortunately, solidarity with these activists is not a matter of course for many of the "left". Tjulkin expressed a common reactionary position among Stalinists when he said in his speech that feminists and LGBT activists are splitting workers' movement. Fortunately, the MPRA did not prohibit the participation of LGBT activists this time as it was the case in previous years. 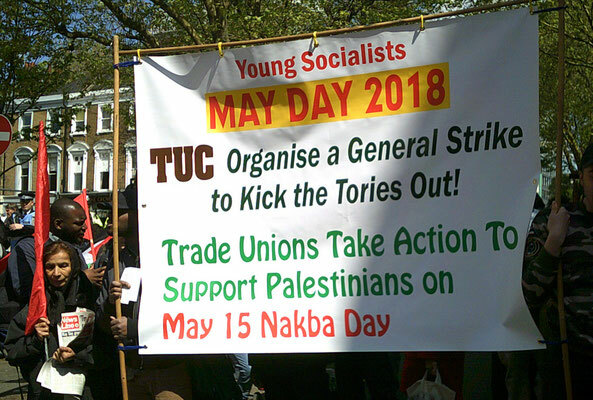 The RCIT comrades in Israel / Occupied Palestine had to deal with the bleak situation that the May Day rallies were either organized by the Jewish Zionist left or Palestinian pro-Assad forces. This reflects the general political situation in Israel / Occupied Palestine which is extremely difficult for revolutionaries. The country’s public opinion is soaked with ultra-chauvinist hatred and war-mongering. There is a lot of talk that Israel’s government might start a war against Iran this month. 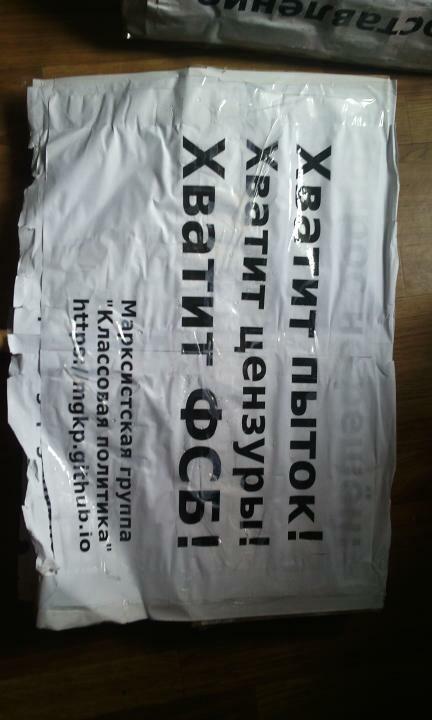 The situation is worsened by the fact that the strongest “left-wing” party – the “Communist” Party Maki respectively its electoral front Hadash – is viciously pro-Assad and supports his reactionary butchery of the Syrian people. Unsurprisingly, other, more progressive Palestinian forces – like Balad – who support the popular uprising of the Syrian people against Assad boycotted the Hadash events. As a result the Hadash event was smaller than in previous years. The shameful situation of these forces is also reflected in the fact that despite the heroic “Great Return Marches” in Gaza no major group has organized any significant solidarity demonstration anywhere in the country. 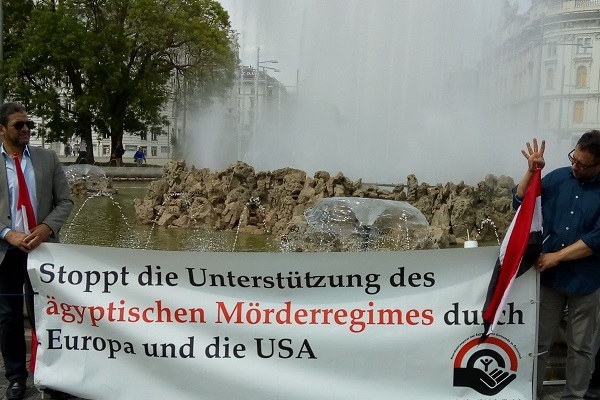 In Austria, comrades of the RCIT intervened successfully at the mass demonstration in Vienna organized by social democratic party. This demonstration, according to the organizers the biggest May Day event ever with 120,000 participants, reflected an increase in a spirit of resistance. This is not surprising since the social democratic party is out of government for the first time since 12 years. In comparison the two Stalinist demonstrations were very small with a few hundred participants each. The Austrian RCIT section had a large book stall reflecting its vast propaganda output (see pictures below). 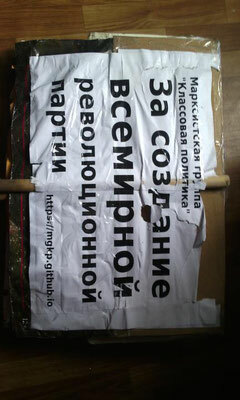 Comrades reported about a growing interest in political alternatives among progressive workers and youth. 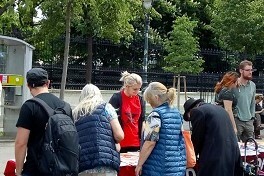 As a result, the comrades experienced many interesting discussions with people interested in Marxism and they sold more papers than in many years before. 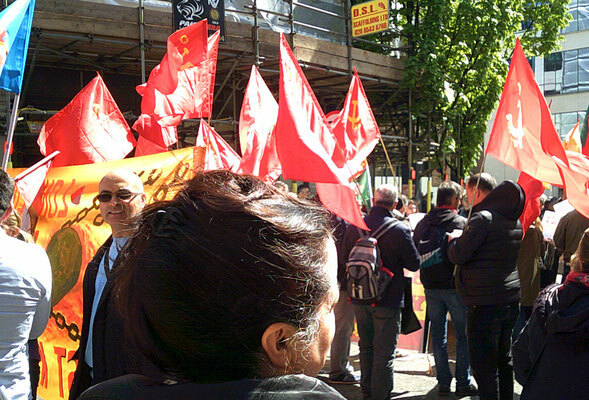 In the afternoon the section organized its own May Day rally at a square close to the Syrian embassy. 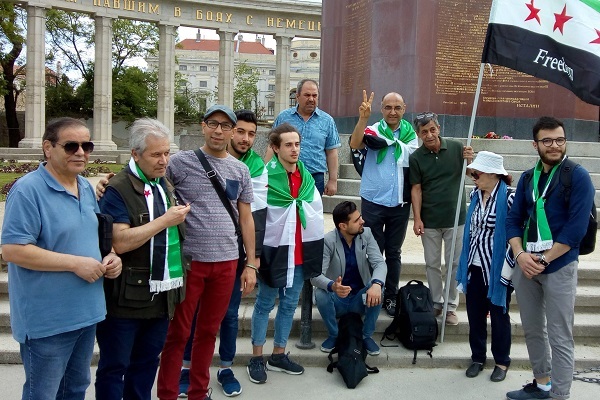 The rally was joined by Syrian, Egyptian, Iraqi, Palestinian and Chechen activists with whom the section collaborates since years in our solidarity work. 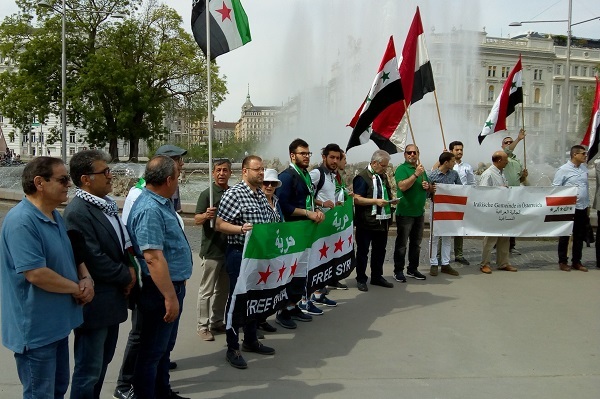 The rally was addressed by the leaders of the Syrian, Egyptian, and Chechen migrant community in Vienna. In addition, there were speeches by a young Iraqi activist and by a long-time Palestinian activist. Furthermore, there were speeches by four RCIT comrades, Rahime Berisha, Marek Hangler, Nina Gunić and Michael Pröbsting. 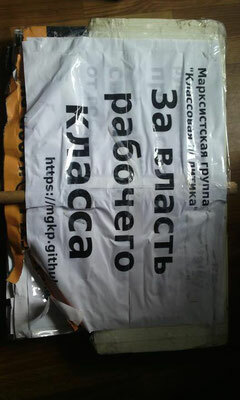 (See pictures and videos of the rally below). 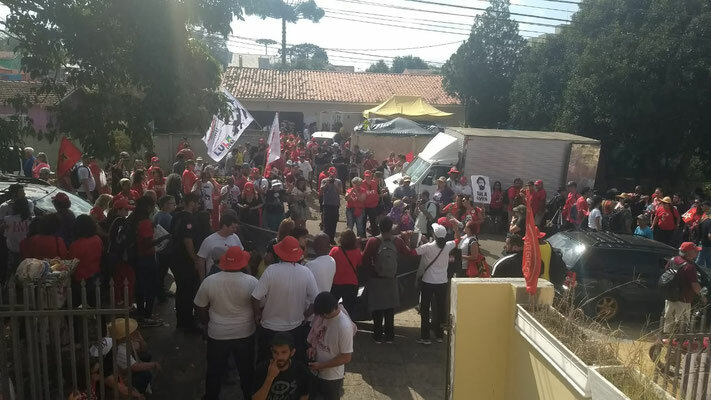 Seven central trade union federations organized rallies and demonstration in the main cities of Brazil. However, only CUT – the biggest federation which is close to Lula’s reformist PT party – has been able to mobilize larger crowds. The main motto of their campaign was "Free Lula and in defence of the democracy" – in response to the recent arrest of Lula (see on this e.g. 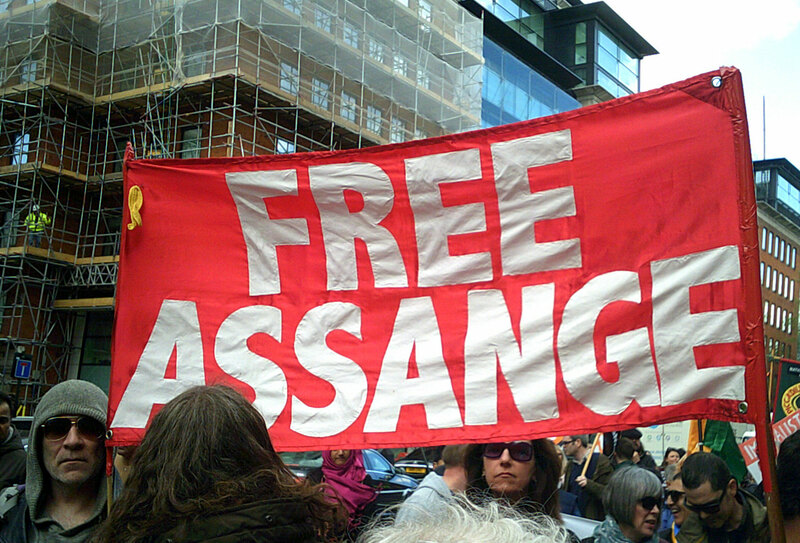 our article https://www.thecommunists.net/worldwide/latin-america/brazil-the-emergency-regime-advances/). 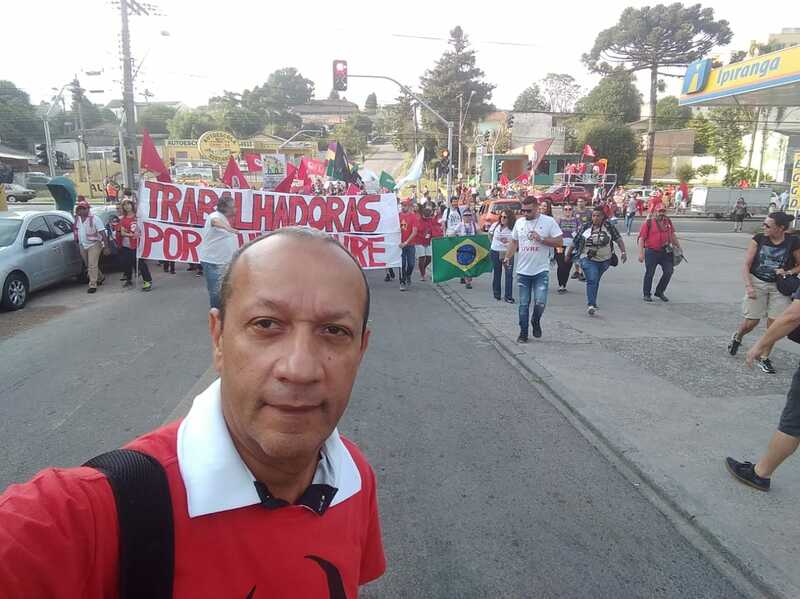 One major demonstration took place in Curitiba, the capital of Paraná, where Lula is in prison. 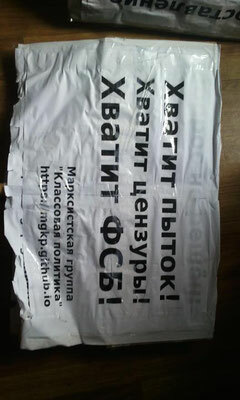 About 30,000 people participated in the march (see pictures and videos below). 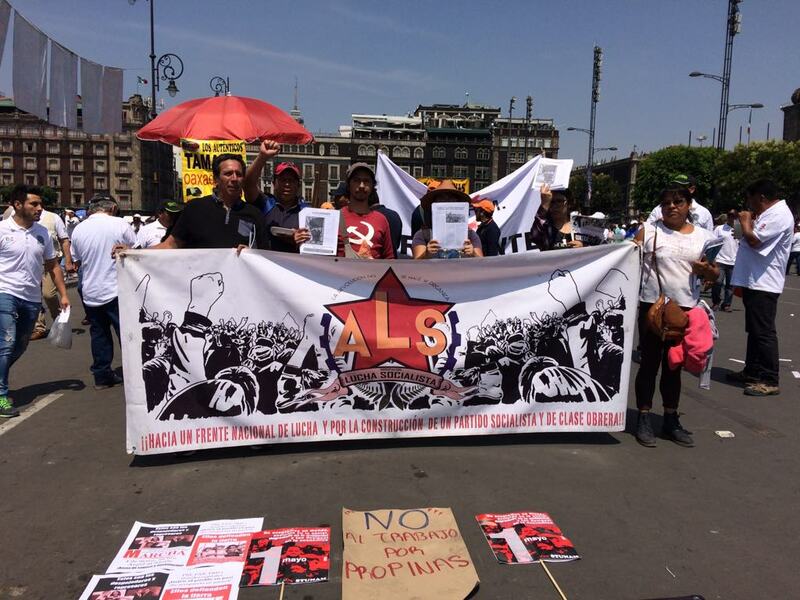 Another mass demonstration took place in the city of São Paulo which was stronger than in previous years. Comrades reported that the spirit of workers and youth at the demonstration was very militant. An increasing number of them are looking for a new political orientation given the cul-de-sac of the PT’s reformism. Comrades in Zambia participated in May Day demonstrations in two cities – Lusaka (the capital city) and Kitwe. 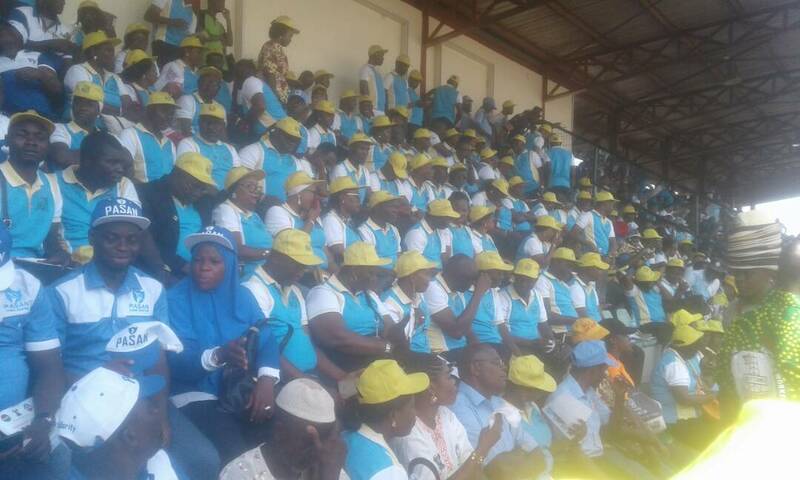 Both events were organized by the Zambia Congress of Trade Unions. One event in Lusaka took place in the Kamwala district with about 300 people participating. 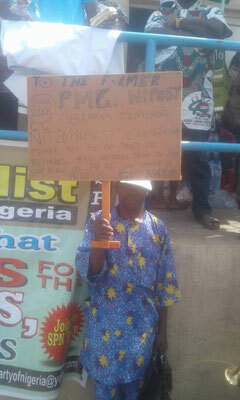 Many workers who participated in the demonstration are employed as super-exploited labor force in Indian-owned shops in the Kamwala shopping area. In discussions with RCIT members, many workers expressed their rampant discontent about low salaries and terrible working conditions. 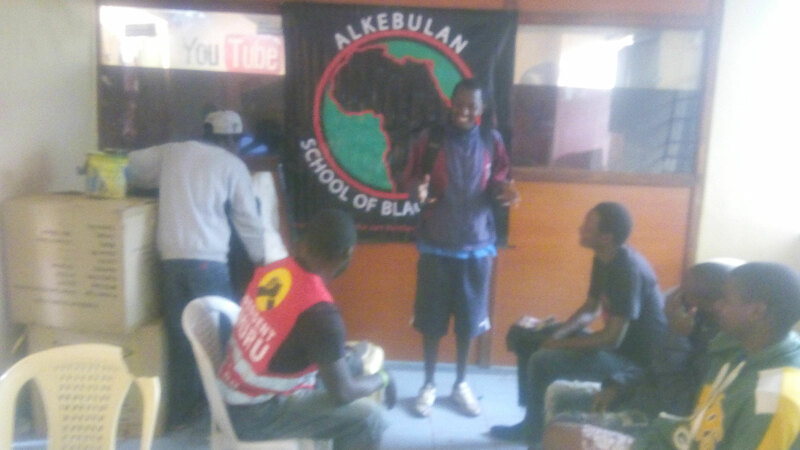 After the meeting, some youth expressed their desire to join the ranks of the RCIT. 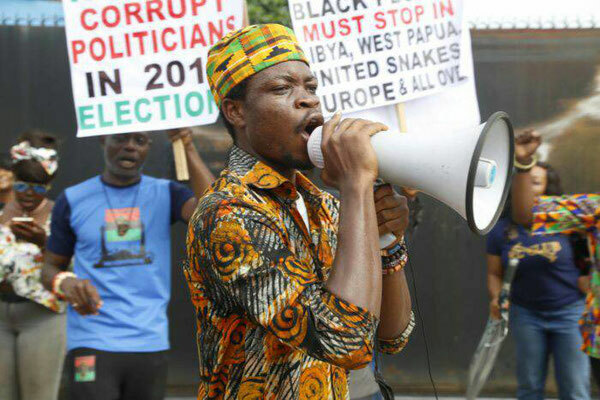 In Kitwe, an industrial town in the Copperbelt Province – a heart region of Zambia’s working class – about 1,000 workers participated in the May Day rally. Here too, low wages were the most important issue. Another issue, about which RCIT comrades had many discussion, was the experience of workers in enterprises owned by Chinese imperialists. In Lagos, Nigeria’s capital city, the Nigerian Labour Congress and the Trade Union Congress organized a mass rally in a stadium with at least 2,000 workers attending. 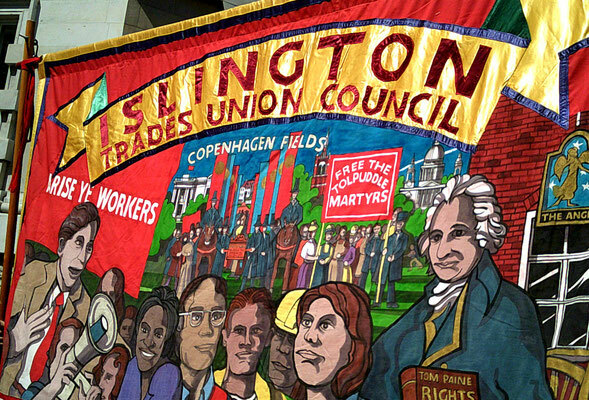 The necessity of a rise of the minimum wage was the main issue. The comrades of Pan-Afrikan Consciousness Renaissance (PACOR) participated in the rally. (See pictures below) PACOR plays a central role in a broader coalition called Movement Against Slavery and Poverty (MAPS). 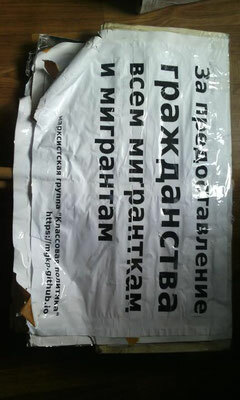 Other components of this coalition are the United Action for Democracy, GAFARMOG, and the National Conscience Party. 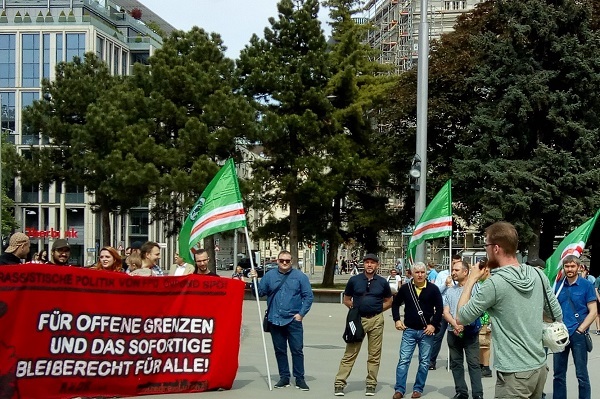 Comrades of the RCIT Germany joined the May Day demonstration organized by the trade union. It was about 1,500 people strong (a similar number as last year). 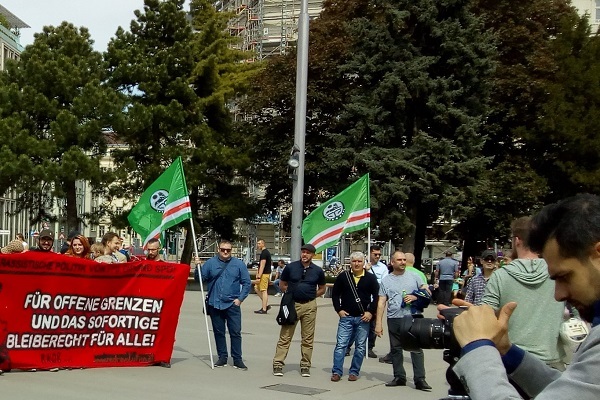 Jörg Hofmann, the chairman of the metal workers union tried to rally the support of demonstrators for the Social Democratic Party’s participation in the “Great Coalition” with the Conservative Party. In his speech he defended the delusional idea that the trade unions can play the role of a “constitutive element”. In other words, he preached class peace and not class struggle. 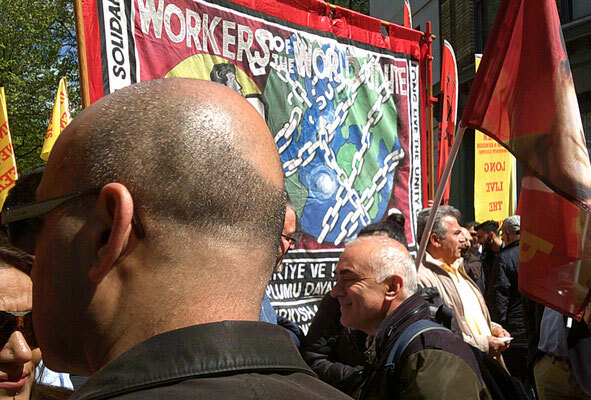 The comrades distributed our joint May Day statement as well as RCIT journals and hold a small meeting after the demonstration. RCIT Comrades spoke with various activists and sold a number of journals.